Lee Allison began his career in the oil industry but soon transitioned to a career in public service. Before his life was tragically cut short in August 2016, Lee served with distinction as State Geologist in Utah, Kansas, and Arizona, successively. A dynamic and visionary leader and a gifted mentor, Lee combined innovative scholarship and consummate people skills with enthusiasm and optimism to drive his passion for making geologic information available to the public and for rendering it understandable. He was an articulate spokesman on scientific issues of societal importance and was dedicated to communicating their significance and impact in ways that resonated locally, regionally, nationally, and internationally. As a measure of his far-reaching public service efforts, Lee was honored by the American Association of Petroleum Geologists, the Association of Women Geologists, and the American Institute of Petroleum Geologists. In recognition of his many contributions, the Arizona Geological Society Geosciences Scholarship was renamed in Lee’s honor following his death. Fittingly, the M. Lee Allison Scholarship is awarded to students who demonstrate exceptional achievement in pursuit of degrees in the earth sciences and who show balanced records exhibiting academic excellence, a passion for research, outstanding professional and general community involvement, and leadership in all of these areas. For more details about this scholarship visit our Student Outreach Page. Lorraine “Lorrie” Carnes received a B.S. in Geology from Lehigh University in Bethlehem, Pennsylvania in the spring of 2017. She was awarded a Presidential Scholarship to attend Lehigh tuition-free for a fifth year, allowing her to complete an Honor’s thesis, and was inducted into Phi Beta Kappa (2015) and Sigma Xi (2017). 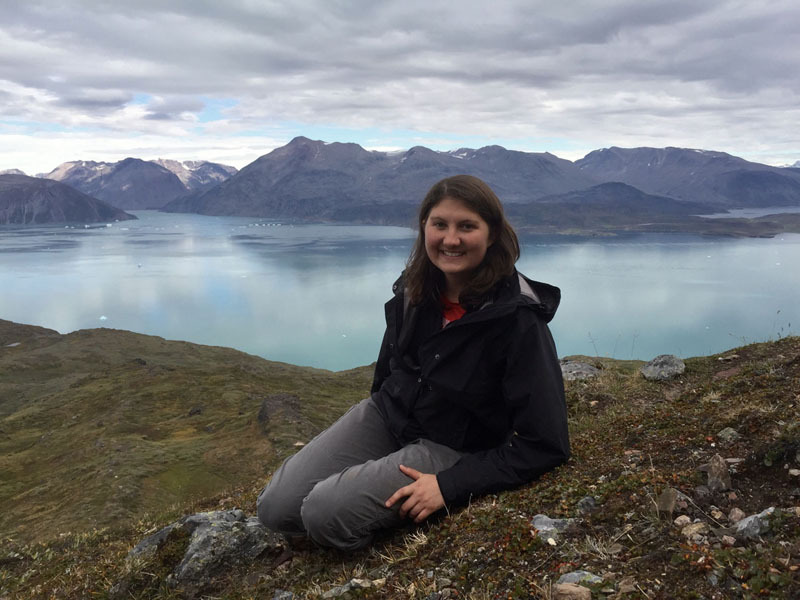 Currently in her second year in the School of Earth and Space Exploration at Arizona State University, Lorrie anticipates earning a PhD in Geological Sciences in the spring of 2022. Prior to arriving at ASU, she was awarded a competitive and prestigious multi-year NSF Graduate Student Research Fellowship and after her first year she received an ASU Graduate Excellence Award. Lorrie’s community involvement is extensive and tends toward educational undertakings. As an undergraduate, she partnered with the Lehigh Community Service Office to lead environmentally themed alternative, outdoor-oriented spring-break trips. At ASU, she mentors younger students and serves on the Open House Committee and the Women in Science Program. Also, as a founding member of ASU’s prison education program, she is active in developing geology and astronomy course for inmates. Lorrie’s scientific interests are wide-ranging within the realm of quantitative geomorphology and landscape evolution. Her undertakings include the study of meandering river response to base-level fall and, for her dissertation, understanding the role and chronology of externally driven vs. internally driven geomorphic processes in the evolution of the Sky Island topography of southeast Arizona.